This week’s teacher spotlight focuses on Ms. Aviette Brooks. 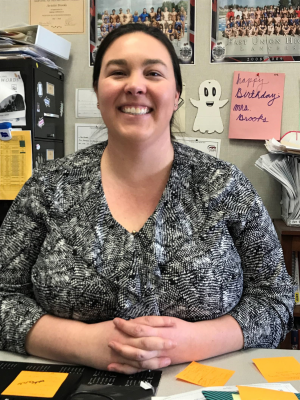 Ms. Brooks has been teaching in the English Department for five years now at Weston Ranch High School. Her current assignment finds her teaching English 4, and she is also the yearbook adviser. Along with her regular duties, Ms. Brooks also is very actively involved within the school. She is co-department chair of the English department, where she oversees the department’s budget. As a yearbook adviser, she makes sure that she covers all the positive, fun, and exciting things taking place on our campus. As an educator, she thinks of our school as being “ahead of the game’’, when compared to other schools. 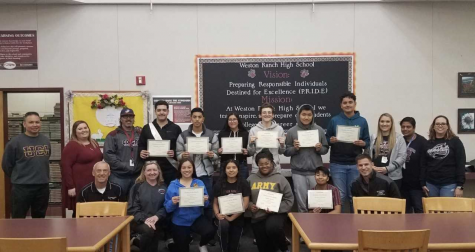 Mrs. Brooks is looking forward to continuing teaching seniors at Weston Ranch High School and help make every year yearbook the best it can be.